This is a small detour on my writing road – a photographic one. My commitment to this coming Saturday’s (February 25th) SOUTHWEST ARTISTS SHOW in downtown Tucson has taken my writing focus away. My concentration on writing this blog has gone down to zero! Unfocused photographs are sometimes interesting, have some purpose, and can be attractive. Unfocused writing, however, is seldom desirable. Consequently, I have decided to delay my writing this week and focus on the show. Below are a few of my photos. If you are in Tucson this “Rodeo Days” weekend, please feel invited to the historic Bates Mansion and visit our diverse group of artists. Enjoy the courtyard and the mansion. Enjoy the art and conversation. Enjoy the music, food, and wine. Just have a nice time! There is plenty of space to park nearby – free of charge on the weekend. Text and photos (except Southwest Artists Show flyer) copyright © 2012 by Alicja Mann. February is already here and, as always, tinted with a strong touch of red and pink dictated by Valentine’s Day. I consider pink as the “gray” of red and white because of its gradations from pale to hot pink. Pink is not diluted red, but the transition from pink to red. Consequently, it does not symbolize for me a diluted love, but rather the possibility of growing into love. It has a strong association with the affectionate feelings of mine: for places, for persons, or for groups of people. Considering that Valentine’s Day is coming soon, this post is about my feelings colored in pink. The first stream of my warm pink goes to Bohemia, a colorful shop which was always filled to the brim with art and crafts created by local artists of Tucson. I was proud being one of them. Tana Kelch led this small enterprise with great gusto for an entire nine years. 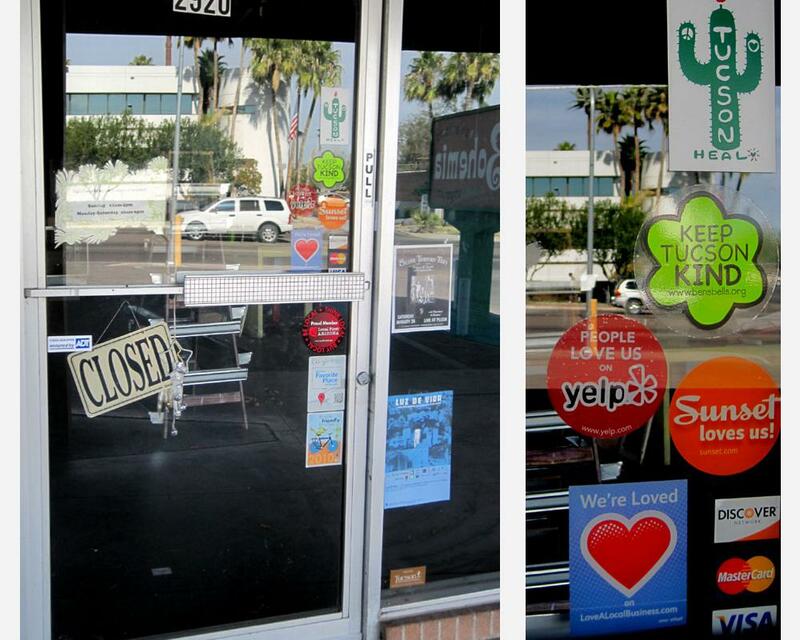 First in the Lost Barrio and most recently on Broadway Boulevard near Country Club. I had always strong affection for Bohemia because of its spirit, philosophy and hospitality. I was happy to see its large logo visible from a distance while driving on Broadway towards downtown or back from it. I was happy with its success and I thought that Bohemia would be there forever. When I shopped there for last Christmas, I did not realize that it would be my last shopping there, but it was! I was shocked and terribly sad. How could this be? It was hard for me to imagine this spot on Broadway without Bohemia…so I went there and took some photos. 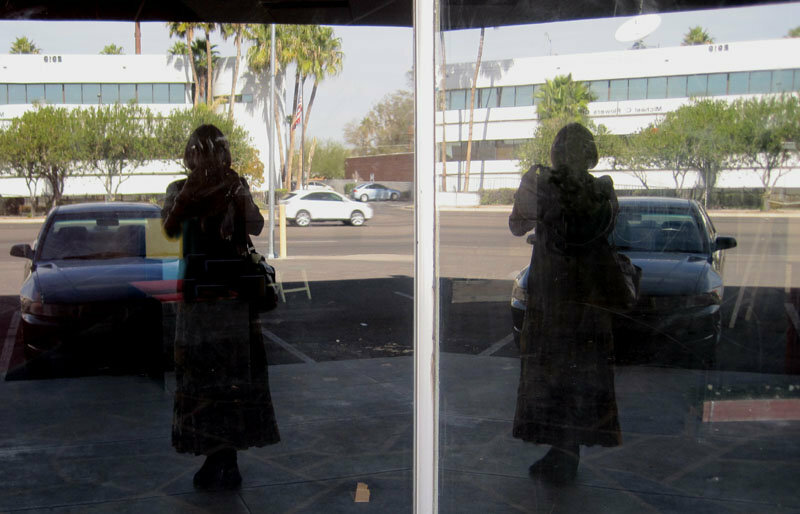 I will miss dropping by to pick up Zócalo and Tucson Weekly and to browse for a while among the amazing and amusing objects that people can create. I will miss buying them for a variety of occasions, excited that my friends will enjoy receiving original gifts created by local artists. 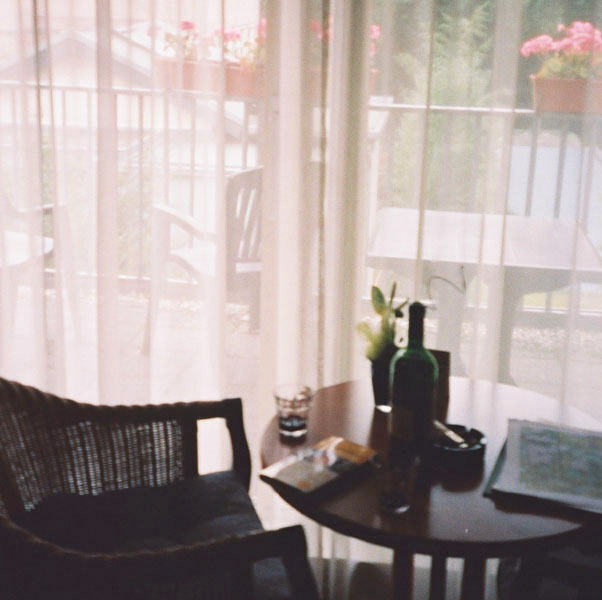 I will miss the parties there with music and wine, its eclectic crowd, and true bohemian atmosphere. Farewell Bohemia, thank you Tana! The memory of Bohemia lives in several charming objects in our house — like a colorful bench, some small ceramics and my funky bracelets. They are more valuable for me today than I ever anticipated. 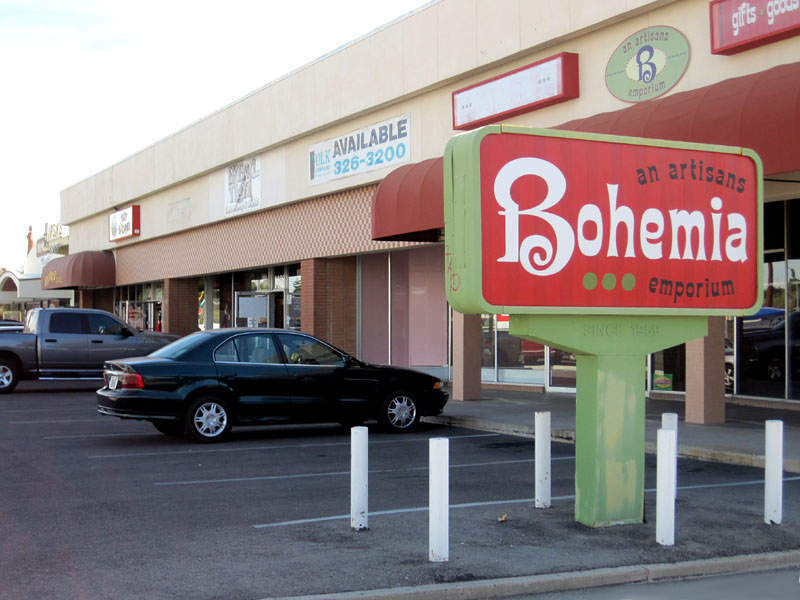 Bohemia’s closing made me sensitive to the possibilities of losing other things I love. My thoughts flew immediately to the KUAT-FM Classical radio station. Ever since I moved to Tucson, 11 years ago, I have listened to their music every morning. I was “conditioned” for this by Morning Pro Musica of WGBH while living on Cape Cod. Robert J. Lurtsema and his signature openings with chirping birds did bring a smile every morning. So discovering KUAT in Tucson was a happy event for me. Although I am a jazz fan and like all kinds of music, my mornings, while still in bed, have to start with the smell and warmth of a cup of coffee and sounds of classical music announced by James Reel or another pleasant voice of this station. And KUAT sure does have a great “collection” of terrific radio voices! I have never met any of the announcers, but their voices have become part of my life. David had a little laugh about all my worries, but for me imagining that this program might not be available was a truly scary thing — I saw it as a huge black hole, a dark void in my life. I deal with small voids like that every time I travel, especially because hotels provide only lousy clock radios, totally useless for listening to good music. 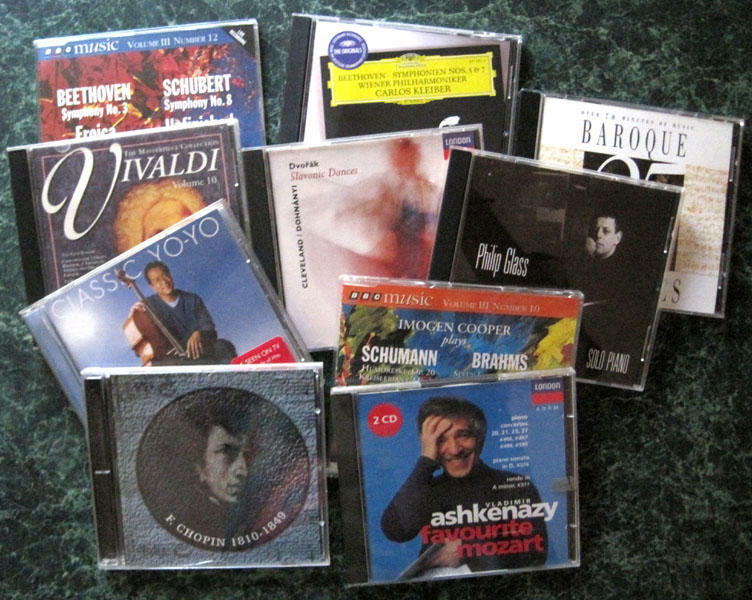 Of course, one can carry one’s own collection of music downloaded onto a computer or an iPod, but it is not the same. Not at all! The element of surprise is missing. The element of discovery of some unfamiliar composer or new piece of music is missing. The entire concept of adventure with music is missing and, of course, the comforting presence of the announcer’s voice is missing! So when I hear “Good morning this is 90.5 classical, I am James Reel,” I feel secure, calm, and very much at home. For the coming Valentine’s Day my affectionate pink goes to all at KUAT-FM with many thanks of being there — every day. Text and photos (except of Bohemia interior) copyright © 2012 by Alicja Mann.